We were heading for Uruguay. 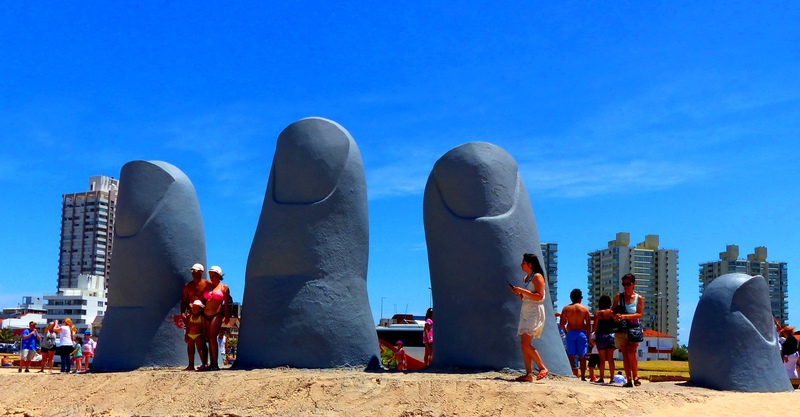 I was fascinated by the thought of Uruguay. It shouldn’t exist at all. It is a small country sandwiched between Brazil and Argentina and fought over by both of them as well as the might of Spain and Portugal. Yet wonderfully it does. It not only exists but is prosperous. It has the highest wealth, stability and equality of any South American country. So it has to be doing something right. When most people think of Uruguay, on the edge of the River Plate and the Atlantic, they think of the scuttling of the Graf Spee. That battle of the River Plate was the opening sea engagement of the Second World War. But for me the most important thing about Uruguay was its amazing President Jose Mujica. If only all other politicians could be like him. Here’s a President who, instead of becoming a power-mad dictator, chose to be one of his people. He lived in a humble house, no different to most of his citizens, and donated 90% of his income to charities. He presided over liberal, egalitarian policies that made Uruguay prosperous and created the sort of equal society I wouldn’t mind living in. He brought in liberal policies that made sense. He legalised cannabis. He did not agree with cannabis use. He stated that the only good addiction was love. But Jose said that the illegality was putting money in the pockets of evil characters and putting his citizens at health risk from adulterated drugs; legalisation was the lesser of two evils. What a man. I was only surprised that the CIA hadn’t overthrown him. Hopefully the new president Tabare Vazquez will be man enough to follow in Jose’s footsteps. The only reason we were visiting Uruguay was because of the simmering situation with Argentina. No ship was allowed to go directly to or from the Falklands from Argentina. That meant that we had to stop in at Uruguay on the way to the Falklands and into Chile on the way back. That sounded dandy to me. As we nosed into the harbour at Montevideo in the early morning of the morning I stood at my customary place at the bow eagerly watching to see what there was to see. The first thing that came into sight was a ship’s graveyard. The rusting hulks looked so picturesque in the early morning light I couldn’t stop photographing. 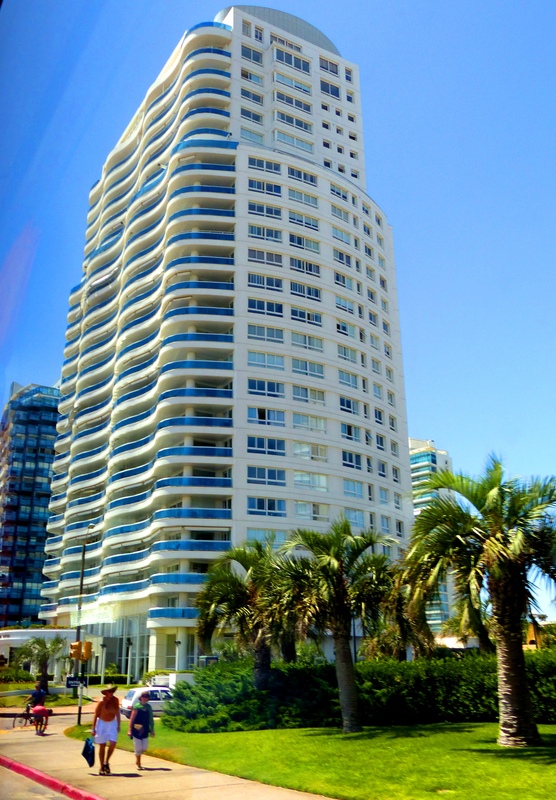 Montevideo had a modern skyline with a smattering of old towers and spires. It looked interesting. 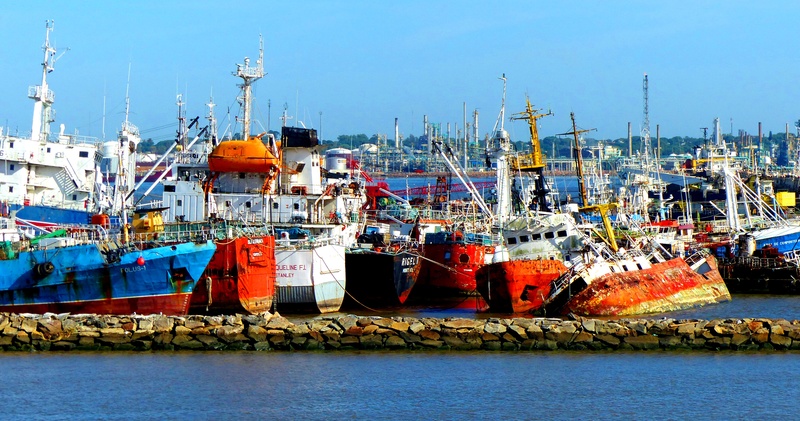 I was used to derelict ports, all dilapidated and sorry looking. All the ports from Cape Verde on had been in need of some love and care. This was different. It looked smart and colourful. That boded well. We headed out on a coach towards Punto Del Estes. We’d been told it was worth a visit. 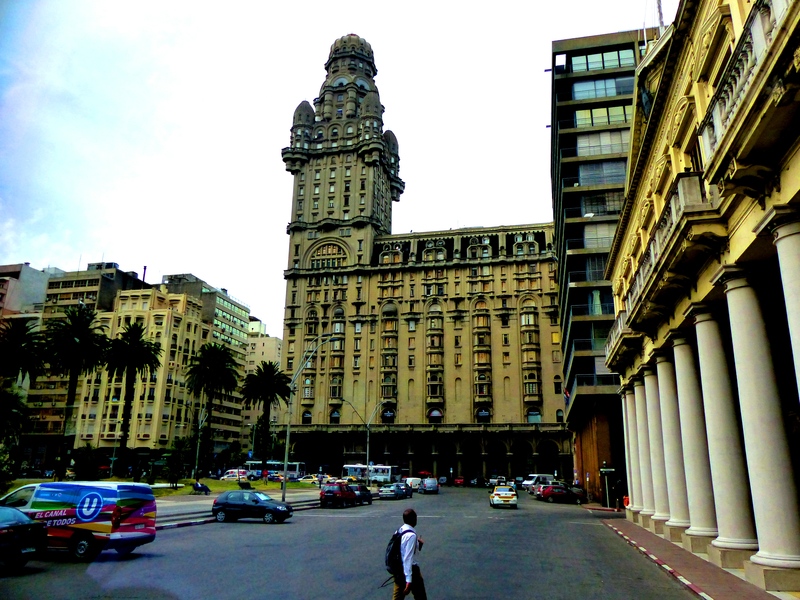 The coach took us past Montevideo’s beaches – the Ramblas. As they were on the Atlantic side they were not the muddy brown of the river plate but rather the blue of the Atlantic. It was hot and that sea looked inviting. It also looked very tidy and orderly. 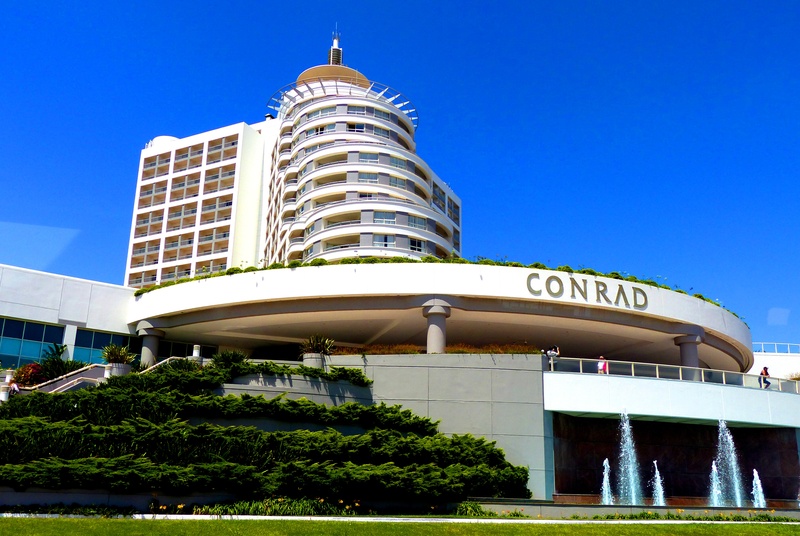 More like a European resort than a South American one. People were cycling and jogging on the promenade. There were people bathing, fishing and sailing. 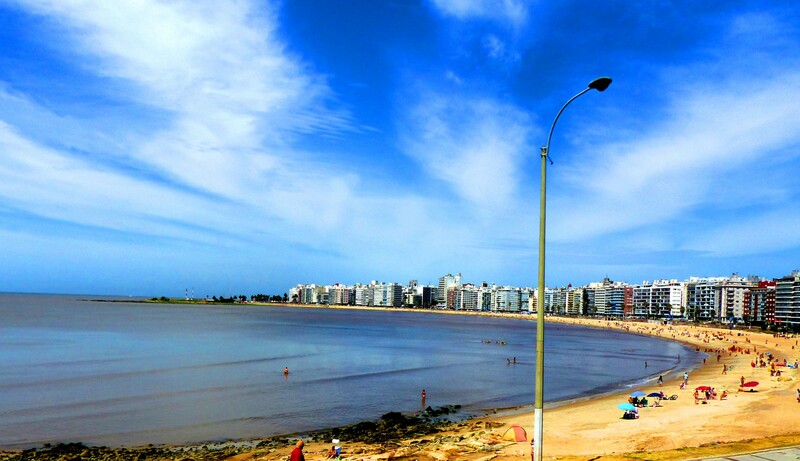 It looked idyllic with its miles of sand, the sun and the backdrop of Montevideo city. We continued up the coast past more picturesque beaches and fishing ports. Then we headed in land through some lush green farming land with cattle and horses and past small villages with what appeared to be car lots selling old classic cars. That looked intriguing. What was that about? Punto Del Estes was a big disappointment. I’d been expecting a charming fishing village. I’m not sure how I arrived at that into my head. What we found was an extremely rich town with multimillion dollar apartments and a marina that was full of expensive yachts. There were no vestiges of the old fishing village. It had been transformed into a rich man’s play area. Still the beach was free and had yellow sand and warm sea even if, unlike all the beautiful curving bays we had passed to get here, it was packed with bright beach umbrellas and people. This was obviously more popular than all the others. The most interesting features of the whole place were these giant fingers of some buried hand poking up out of the sand! They were huge, bluish grey and quite a tourist attraction. Disguising our disappointment we headed back to Montevideo, stopping on the way to have a look at the amazing home of the artist Carlos Paez Vilaro. He wasn’t home. That was largely because he’d died years ago. 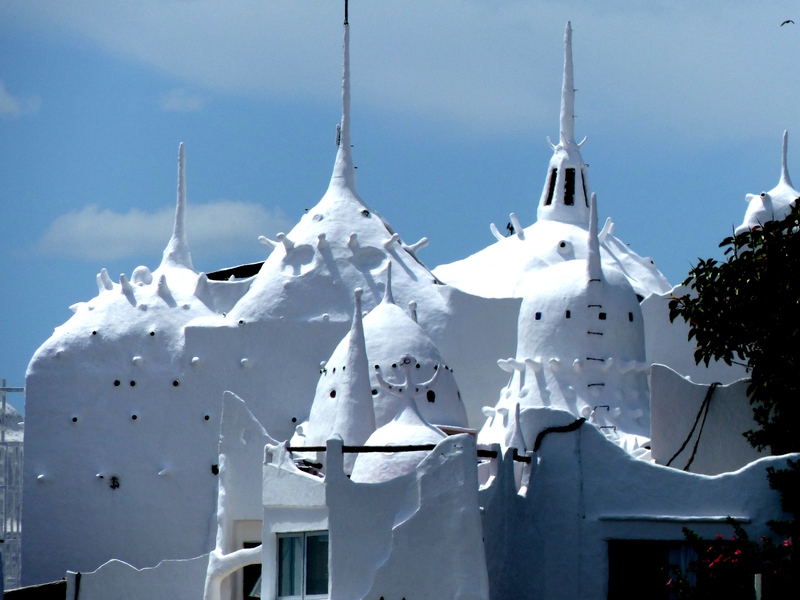 But the house was still there with its splendid white surreal towers and spikes. It looked like something Salvador Dali might have designed and was well worth a marvel or two. Carlos was a remarkable man. 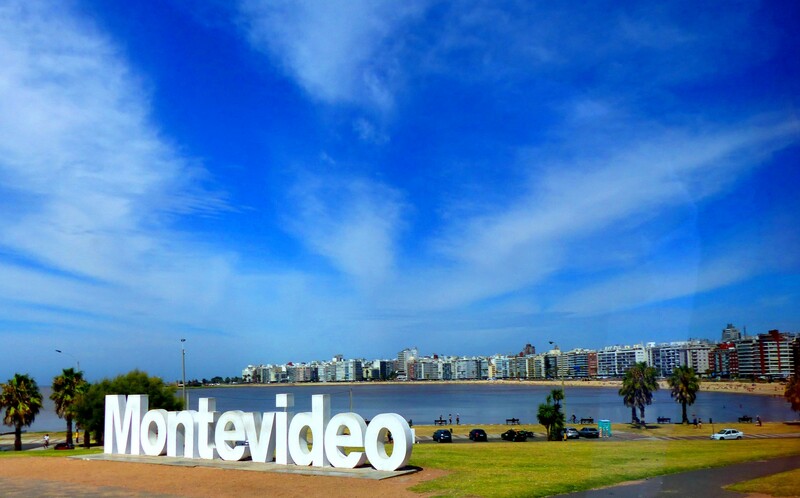 Back in Montevideo we had a chance to see a little of the city. It was a mixture of old and new. 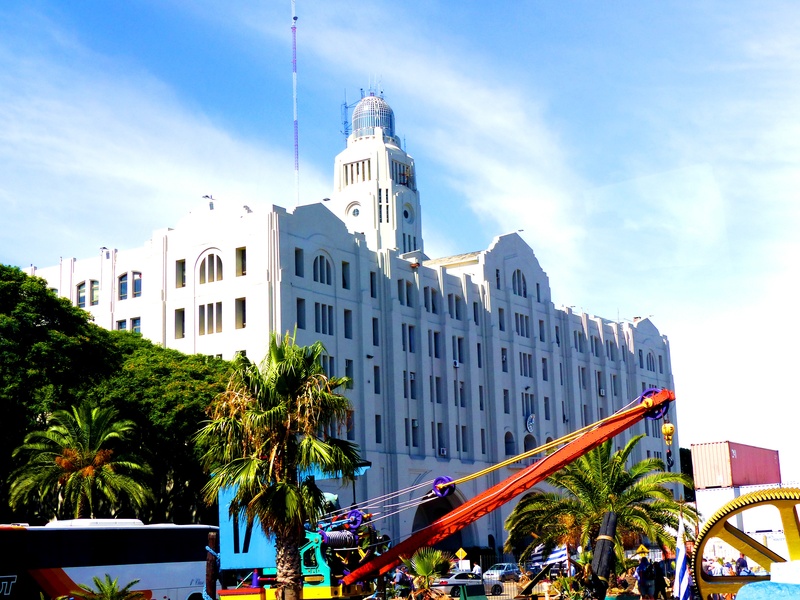 The tower of the Palacio Salvo stood out with its rounded turrets. I noted in my mind that this was a place I wouldn’t mind coming back to and exploring at leisure. A few beers in those bars and cafes wouldn’t go amiss. Vilaro’s house really does look like a Dali painting! And those stone fingers are remarkable. Yes both extremely surreal! I would like to have had a closer look at that house. It was unique.